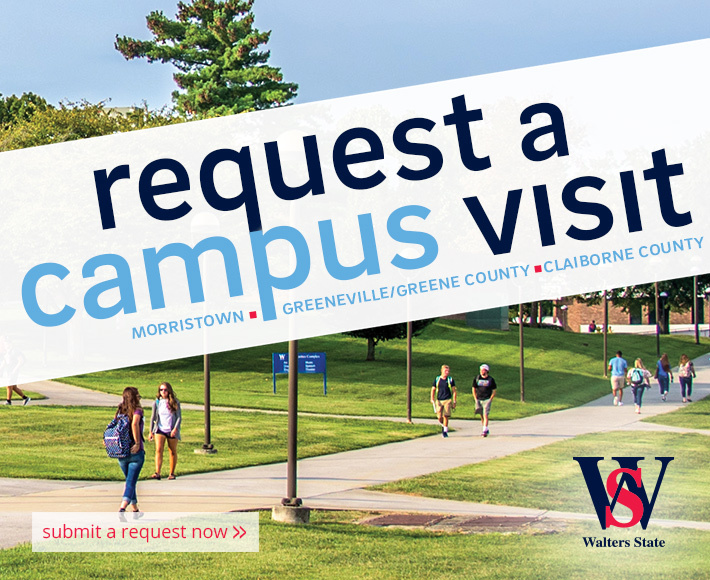 The best way to learn about Walters State is to visit one of our campuses. We'll be glad to answer any questions you have about academic programs, financial aid or the transfer process. We'll also give you a campus tour if you like. To request a campus visit, please click the image below or contact one of our campus sites. Please note, to schedule a campus tour or visit with Sevier County Campus, you must call. Online requests are currently not available.